If you want to watch us make these on video, we did a live facebook on how to make Mess Free Easter Eggs With Dry Rice and Food Coloring. Hope you enjoy it! 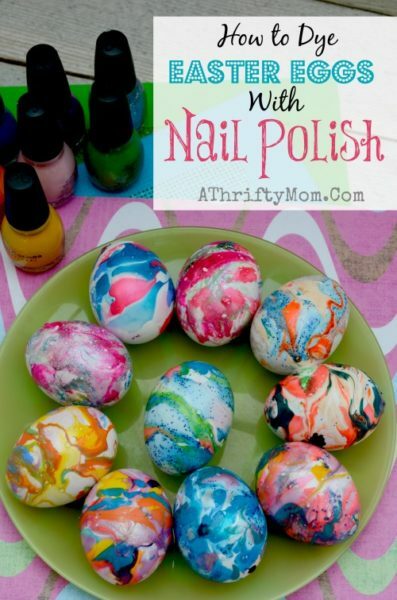 My friend Marcee sent me a link to a kit were you dye Easter Eggs with rice and coloring. She knows we always do fun egg dying projects each year with our kids. The kit looked cool, but I wondered if I would just use supplies from my kitchen to get the same effect? The kids and I tried it out and it worked, they come out so FUN! Place 1/4 of a cup of dry rice into a small plastic bowl, add 5-8 drops of food coloring and shake the rice so it is coated. Quickly add your egg, close with a lid and twirl and shake. It should only take about 30 seconds or less of shaking for you egg to be coated. If it is not dark enough you can add a few more drops of of color. I did four containers of rice one for each color, and for each egg I added a few more drops of color. The rice can be used over and over but dries out between each egg. If you only add a FEW drops of color and shake right away the egg will be bright and colorful and coated, and come out DRY so no messy fingers. If you don’t add enough the eggs will only have a few speckles on them, BUT if you add to much the egg will come out rich in color and beautiful but wet and messy and will get all over your hands. I loved the MESS FREE option so we stuck with about 8 drops.